Floor cracks are an unsightly thing to find in your home, but what’s worse is it is a sign of foundation problems. These problems, when ignored, can lead to weak foundation walls and a wet basement. When you see a floor crack don’t wait, call Rapid Foundation Repair immediately as this is a problem we can fix before it really becomes an issue. We can tackle any floor crack repair South Dakota problems that you might have with our expert contractors and tools from ECP (Earth Contact Products). We can provide you with the proper floor crack repair services. Are Cracks in your Concrete Floor Normal? Concrete will crack to some extent in all homes. You just need to know when this is a problem. It really becomes a serious issue when the crack is in a structural part of a home. Most people would not be aware of what cracks are structural problems and which ones are just aesthetically unpleasant. This is why it is important to call the floor crack specialists at Rapid Foundation Repair. We can take a look at your floor cracks and be able to tell what repair is needed so you don’t have to worry. Bottom line is, you don’t want to mess with a floor crack, they can’t be repaired correctly with a DIY set from your local hardware or big box store. Get it checked out to ensure the safety of your home. It is your biggest investment and your family’s safety is important! Rapid Foundation Repair offers many foundation repair solutions, and we use the “very best” products from Earth Contact Products. 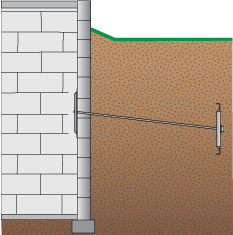 We offer helical piers, a great product very commonly used for foundation repair. They add strength and stability and cause minimal disruption to your home and yard. Another option is wall plate anchors, that add strength to the whole foundation structure. This is a plate/rod/bolt structure that is used in most cases as a temporary support. We offer steel push piers that are also called resistance piers. These are excellent for foundation repair and as soon as they are installed the load can be transferred to them. We are a preferred installer for ECP and are proud to use their products. With our trusted engineers and installers and the American-made products from ECP, you can be sure that your foundation repairs will be done right. 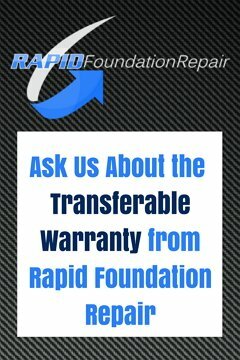 So when you see a floor crack, you want to make sure you call the experts at Rapid Foundation Repair. We can diagnose your floor cracks, see if you are displaying any other symptoms of foundation failure such as wall cracks or leaks, and find you the best solutions. Let us find a crack repair solution for you! Give us a call today.